SNF, a French chemical company, makes a chemical to help speed up tailing pond consolidation, and they apparently make that chemical in Georgia. Thirty people are employed at the plant, and it's looking to expand to 120 or 130 in the next five years. CAPP (they're everywhere!) 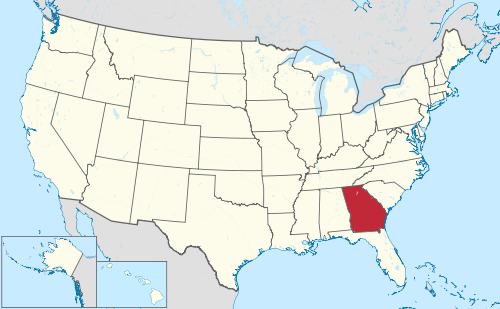 estimates thousands of Georgians are employed by the industry in some capacity, and that 7,700 are expected to be employed in it eventually. While not very technical, the article says the product is a polymer to "rapidly squeeze the water out of tailings". The article then quite confusingly switches over to a different Georgian company involved in the oil sands, Andritz Automation (spelled incorrectly in the article), which says 20% of their business is from oil sands. I would assume that's just in Georgia, because they're a pretty big company. For the oil sands, they apparently make computer models of processing and upgrading plants to test for potential issues. Their next big customer is Imperial Oil for its Kearl mine. The video for the story says that total Georgian exports to Canada are $4.5 billion a year. Canada is Georgia's biggest foreign trading partner "by far". I propose we change the state's license plate image from a peach to a tailings pond! A rapidly consolidating tailings pond.